Arachnoid cysts are collections of cerebrospinal fluid (CSF) in the brain surrounded by a thin, transparent membrane. Some arachnoid cysts are small and cause no symptoms, and the majority do not require intervention. However, others can grow and cause a variety of problems, depending on their location in the brain. 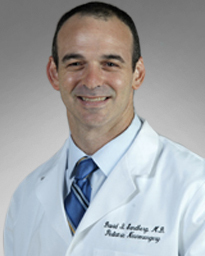 Join an interactive discussion with pediatric neurosurgeon David Sandberg, M.D., on Thursday, August 6 at noon, to learn about the diagnosis of arachnoid cysts in children and the latest in treatment options at Children’s Memorial Hermann Hospital. Dr. Sandberg will answer questions submitted during the presentation.